I’ve tried GF all-purpose flour mixes. I’ve tried buckwheat flour, and oat flour, and corn flour, and rice flour. I’ve tried corn starch, and arrowroot, and flaxmeal and chia seeds. I’ve used xanthan gum, and guar gum. I’ve done it all. 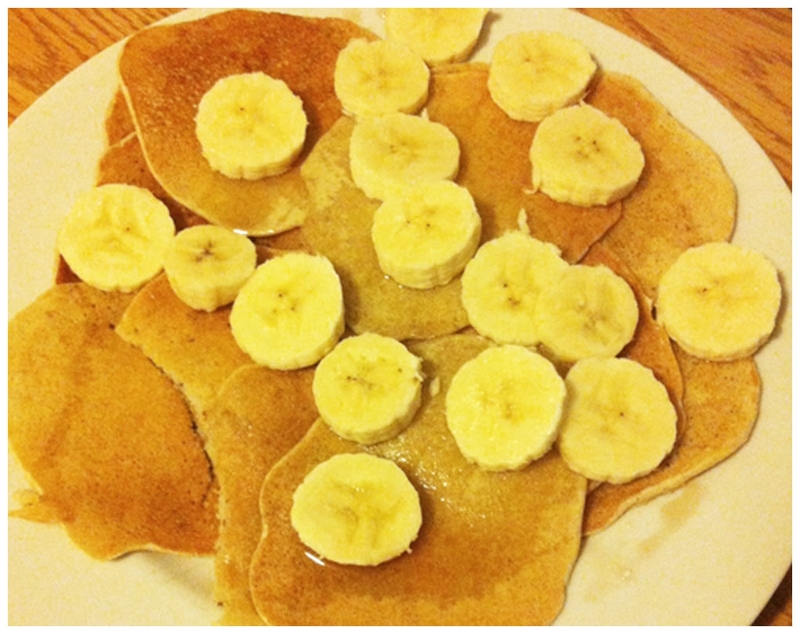 Read on to learn my favourite pancake flour blend! Whisk together in a small bowl until mixed. Add flax mixture to last 3 wet ingredients and mix. Add wet to dry and mix together until relatively smooth. A few lumps are ok, but you don’t want a lot of big lumps. Heat a griddle to about 350-375F (or a frying pan to med-high). 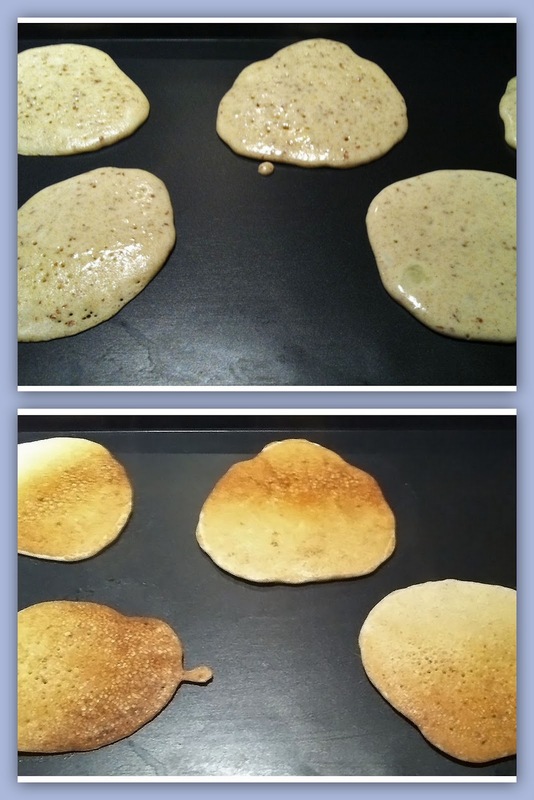 Pour about ¼ cup (or less) on the griddle to form 1 pancake. Judge the size and alter to your taste. When the bubbles form on top of the pancake, flip it! Keep pancakes warm in the oven or under tin foil. Top with butter, REAL maple syrup and fruit. J Enjoy! I played with this recipe a great deal, and I am probably not done! This is the kind of pancake texture, flavour and lightness I was looking for, but this recipe would be easily adaptable to thicker or thinner (crepe-like) pancakes by altering the proportion of wet to dry. Play around with it and share your discoveries and ideas! I’m 25 and I am currently studying to be a Dietitian in Montreal, Quebec. However, I am a Maritime girl through and through! I was raised in Nova Scotia, and I can’t wait to return. If you’ve never been, it’s really quite beautiful. You’ll never meet nicer, more laid-back folks! Stop by and visit Gina at Fixations of a Canadian Twentysomething for more great GF recipes. You can also find her on Twitter! always looking for new pancake recipes! thanks for sharing again on AFW!